So you just got engaged. Pop the champagne and get ready for one hell of a party to celebrate your love. But, before you can do this with your family and besties, you’ve got a lot to plan. Now ladies, you’ve probably dreamed about this day for a long time. You might even have photos saved in your phone, blog links bookmarked on your laptop and, definitely, ideas in your head. But this inspiration is mostly about your dream dress, the theme of your reception, the colour of your bridesmaids’ dresses, and pretty locations. Unless you’ve got a friend who’s an artist, you probably haven’t given much thought to the event music. Maybe you’ve got a song in mind that you’d like to play when walking out into your reception or even for your first dance. But you need music to last for the rest of the night and people usually choose between these three options: hiring a band, hiring a DJ, or doing it yourself, Spotify-style. Let’s have a quick look at all three to help you pick. A live band can add an energy that a DJ or personal playlist can’t embody. You have a range of choice in terms of the vibe you’re creating. Do you want a particular type of cover band? Or do you prefer acoustic music and would like to invite a solo artist or folk band to play. While hiring a band might be more expensive than the other two options, if you love live music, this is the time to treat yourself. Nothing gets a wedding crowd going like Bohemian Rhapsody. 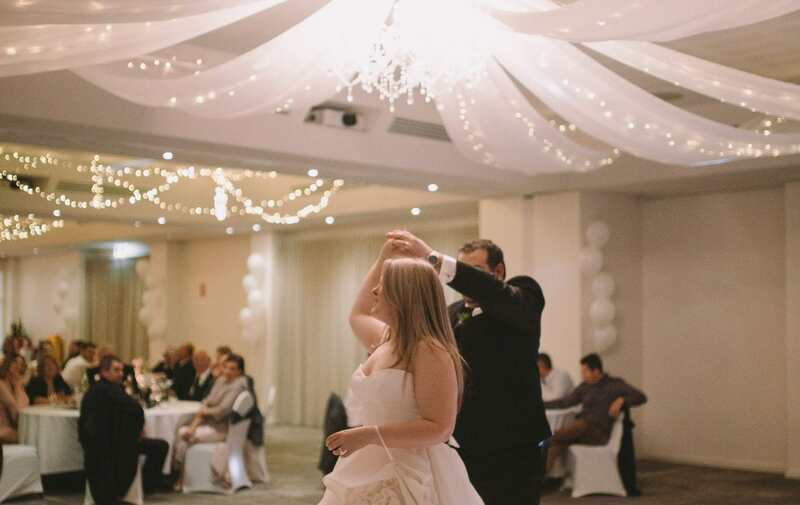 Wedding DJ’s are perfect for getting people on their feet and dancing. They know just the right tunes to play. If you choose a DJ, you’re going to have a fun time, that’s for sure. Get ready to watch Uncle Larry dancing. With all your closest friends and family in one room, you’re bound to have plenty of songs that colour your memories together. There’s something special about having a playlist full of songs that hold a certain meaning. While we can’t decide which music option’s best for you, we can take care of a lot of the other planning. Talk to our team at Adelaide Hills Convention Centre about your reception. You’ll love the dedicated event management team we have on staff.